Bottled water and complimentary lunch are provided. Pick-ups will begin approximately 8:00 AM. Are food and beverages included in the Hoover Dam and Lake Mead tour? On our day trip to the Hoover Dam and Lake Mead, a light breakfast snack and lunch are included. The water it’s on us. All you can drink! The Hoover Dam is a must-do adventure in the West! 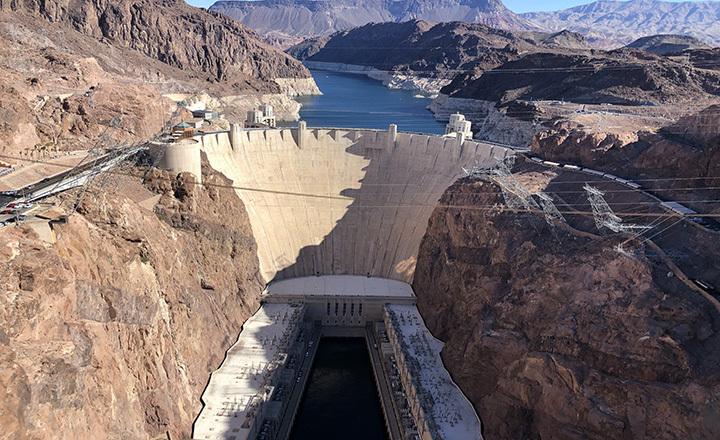 Take our Hoover Dam and Lake Mead tour from Las Vegas For $149 per-person. You’ll get to see the Dam and Memorial Bridge from another stunning viewpoint: down below as you climb aboard the Desert Princess Lake Mead boat! So, sit back, relax, and enjoy an absolute adventure! We begin our day with a prompt pickup at 8:00 a.m. from your hotel in our luxurious Mercedes Sprinter that’s fully loaded with all of your road tripping needs. Amenities include USB charging ports, tinted windows for climate control, complimentary WiFi, and so much more! From here, our first Instagram-worthy picture awaits at the iconic Welcome to Fabulous Las Vegas sign where you will be able to soak in the city’s iconic history that will be sure to make a vintage Vegas showgirl jealous. 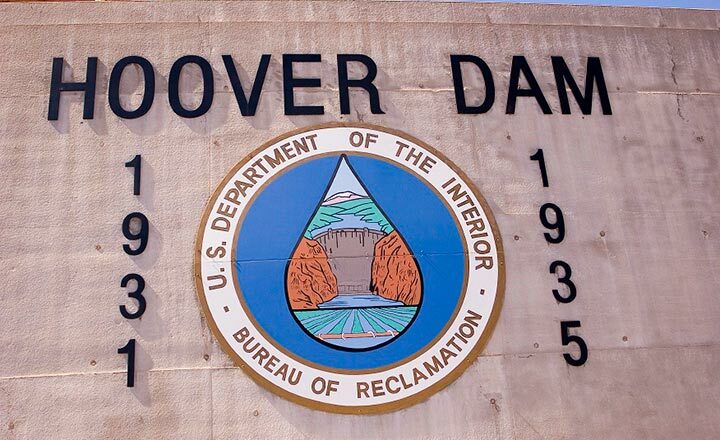 Once you have your pictures ready for upload, your tour continues with a short drive to the historic Hoover Dam. Your guide will walk with you across both sides of the Hoover Dam pointing out extraordinary stories of how it was built and how it operates today. An extra added bonus will be a visit to the Old Exhibit Building where you can see many artifacts and photos that have been preserved for hundreds of years! Next, your professional and friendly tour guide will take you to the Mike O’Callaghan-Pat Tillman Memorial Bridge for another photo opportunity to see it up close and personal. You’ll even have the chance to walk the bridge. 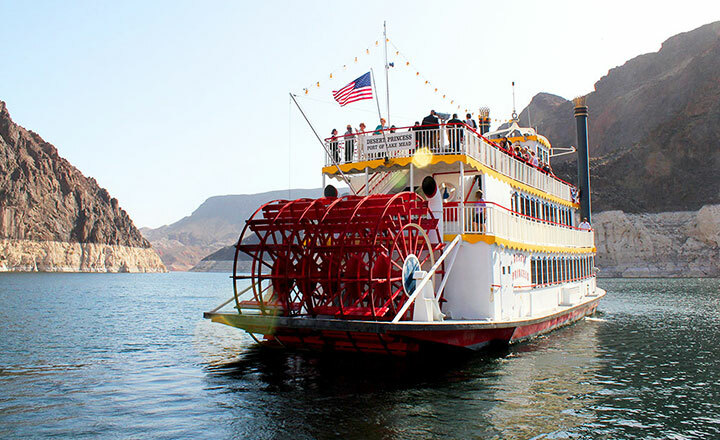 Next, your viewpoints of the Colorado River, and Hoover Dam get even better with a Lake Mead boat cruise. This highlight includes lunch and 90 relaxing minutes aboard its three-deck vessel. Once aboard, see wildlife species that call the Lake home and breathtaking rock formations thousands of feet high. The riverboat cruise will take you to the closest point of the Dam from a watercraft so prepare to feel the rush! 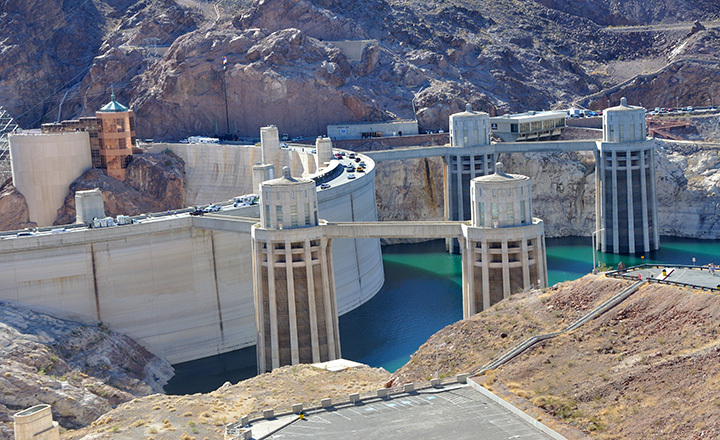 The Hoover Dam and Lake Mead Tour is one of the most exciting and interesting ways to tour the Hoover Dam. You won’t find another Las Vegas tour company that goes the extra mile to show you the truly breath taking and remarkable sites. We aim to impress and it shows by our 4.7 average review! Once all the sights have soaked in, your arrival time back to your hotel will be approximately 2:00 PM. Plan for the full tour to be approximately seven hours from start to finish. In addition, we’ll have all of your noshing essentials covered: a light breakfast snack, lunch, and bottled water is included. So, choose Grand Canyon Destinations where you will truly get the full experience indulging in Nevada history!